Clearance on Pond Supplies – Creative Bricks 'n Blocks Ltd.
CLEARANCE ON POND PUMPS, SKIMMERS, FILTERS AND SPILLWAYS! 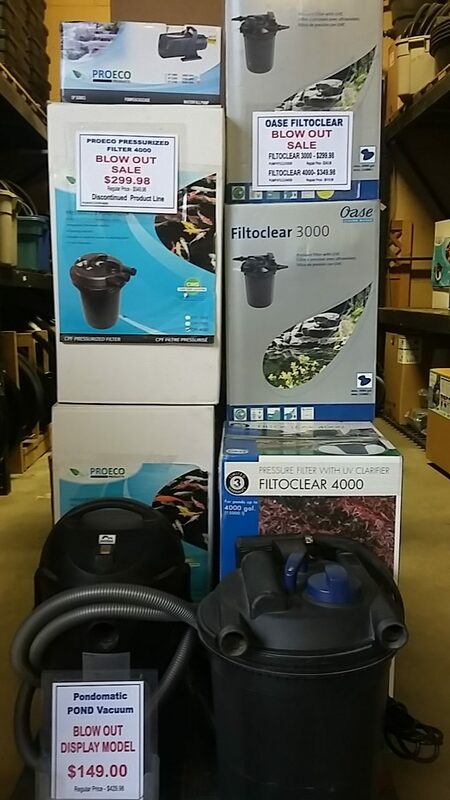 We are clearing out products we no longer carry in our water gardening line at BLOW OUT PRICES! OASE, SAVIO, ATLANTIC and more….! !